The Buddy Bench is a tool designed to educate and eliminate loneliness and promote friendships on the playground. The yellow Buddy Bench by Paris Site Furnishings is constructed of heavy-duty steel consisting of 1.5 in. x 1.5 in. structural tube ends with 14-Gauge steel seats and backs. The bench ends, seat and back are sandblasted prior to an e-coat surface treatment finished off with a premium powder coat paint finish. The bench comes with pre-drilled footplates that easily mount with the included concrete stud anchors. When properly installed the bench will remain stable and secure, avoiding tipping and theft. The yellow Buddy Bench will provide a comfortable and safe environment for children and compliment any playground. 68 Gal. 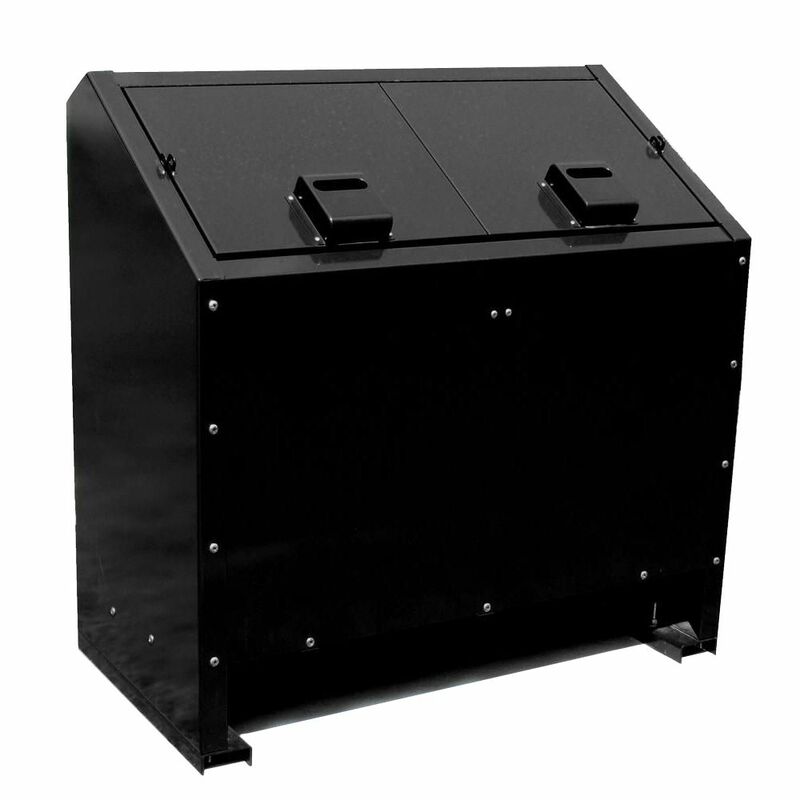 Metal Animal Proof Trash Can in Black The Buddy Bench is a tool designed to educate and eliminate loneliness and promote friendships on the playground. The yellow Buddy Bench by Paris Site Furnishings is constructed of heavy-duty steel consisting of 1.5 in. x 1.5 in. structural tube ends with 14-Gauge steel seats and backs. The bench ends, seat and back are sandblasted prior to an e-coat surface treatment finished off with a premium powder coat paint finish. The bench comes with pre-drilled footplates that easily mount with the included concrete stud anchors. When properly installed the bench will remain stable and secure, avoiding tipping and theft. The yellow Buddy Bench will provide a comfortable and safe environment for children and compliment any playground.